After a week of work, it’s hard to want to cook a healthy meal on a weekend night…. it’s so much easier to grab pizza or get take out since it saves dishes and time. That’s really nice when I can be pretty lazy on the weekend :). 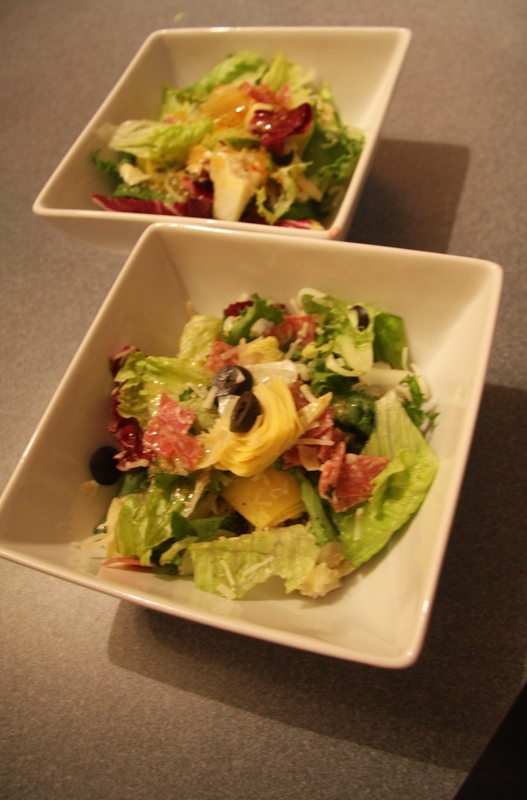 However, it’s nice to eat something fresh and healthy, and this salad was really easy to throw together (10-15 mins. tops!). We got the idea from a family friend.